One Mom's Moxie: Dress First Has Your Perfect Prom Dress! Celebrating Prom is like getting to be a princess for a night. Every girl wants to be wearing the dress that will make heads turn. While I was in high school I went to several dances, of course prom is the one dance that I remember most. Finding the right dress can be slightly stressful, but it is completely worth it. I can recall the frustration my mom and I had as we shopped around looking through many prom dresses. 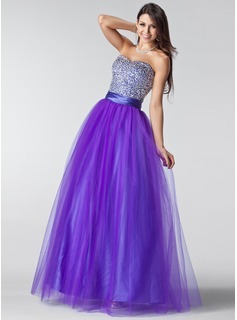 As a mom with three daughters I look forward to looking for that perfect prom dress with each of them. I know we will not have the same experience I had as a teenager because now there are prom dresses online. Shopping online definitely makes finding the perfect dress a lot easier. There is an awesome website called Dress First that carries a variety of dresses for any special occasion. I have spent a good amount of time browsing through the prom dresses at Dress First and I am extremely impressed by the dresses that they have available. With so many different styles to choose from you might end up wanting to purchase more than one! You can either look through all the dresses, or if you know more or less what you are looking for then you can narrow it down. For instance, if you want an A-Line/Princess Sweetheart floor-length dress then you'll be happy to know there are eighty to look through. If you want to feel like a celebrity there is a Celebrity Style tab to look through celebrity inspired dresses. After you have selected your perfect dress in the color you want it to be, let the dress making begin. You can either use the size chart to choose your dress size or for a small fee you can have your dress tailored to fit you flawlessly. They even carry plus size dresses. Dress First carries only the finest products to make their dresses. Customer satisfaction is their top priority. Once your dress is ready to ship they will make sure it passes their quality tests, and will have it sent using the shipping option that you selected. Whether you are shopping for yourself or for someone else, make sure to check out all the wonderful prom dresses at DressFirst.com.